Free online V-tree fractal generator. Just press a button and you'll get a V-tree fractal. There are no ads, popups or nonsense, just an awesome V-tree generator. Press a button – get a V-tree. Created by mathematicians for mathematicians. Line color Squares contour color. Internal color Squares fill color. Line Width Thickness of squares contour. Padding Space between the frame and the V-tree fractal. Select Direction Grow V-tree in this direction. V-tree generator tool What is a v-tree generator? This tool draws V-tree fractals. 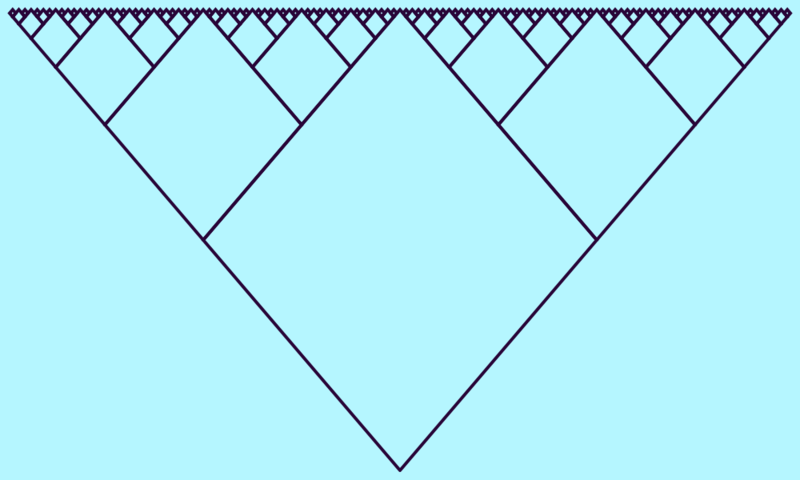 The V-tree fractal is one of the simplest fractals there is. Here's how you draw it – take a square and rotate it so that stands on one of its vertices. Then draw two other squares, half of the original square's size on each of its left and right sides. Repeat this process further and keep drawing two smaller squares on each of new squares' sides. As you're drawing two new squares for every new square, you're doubling squares on every level of iteration. With this tool, you can explore the behavior of the V-fractal for any number of iterations. 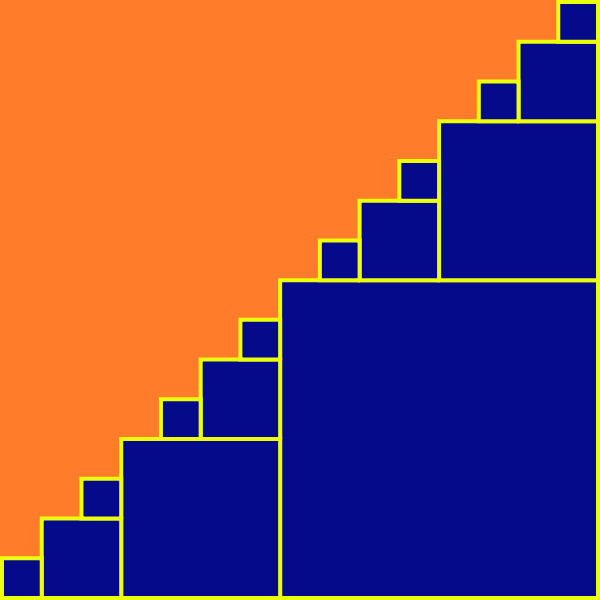 In order to clearly see the small squares, increase the size of the fractal in the settings. Use the download option to get the image in high quality so you can see all the details. You can change the colors for three parts of the fractal – line color, background color and square fill color. Then, you can also adjust the thickness of the line and add padding around the V-tree. And finally, you can choose one of eight directions towards which small squares will be drawn. These eight directions are north, east, west, south and north-east, north-west, south-east, south-west. Mathabulous! This example draws only the contour of the V-tree fractal that evolves to the north. To keep the proportions of squares, we increased width to 1000 pixels, and height to 600 pixels. Seven levels of squares are drawn here. Total of 127 squares (2^7-1). In this example, we changed the initial direction of fractal growth to the north-west. As a result, we got a V-tree fractal that looks like a bunch of boxes. We painted the boxes in blue and set the background to orange for the contrast. We grew the fractal for 4 recursive iterations and didn't use padding around it. The canvas was 600x600 px square.